There is another type of player, though. As those others languish on the battlements, these ones are back-flipping off, lapping them on fourth or fifth runs though the game, so competent and self-assured that they sometimes actually heap extra challenges onto their plate—beating the game without leveling up, say, or with a Rock Band guitar controller. Dark Souls 3 is for these folks. Was always going to be for them, really—the most passionately invested, the most vocal, the hardiest and most likely to still be around after all these games. That's just the way these things go. Sequelization is selective breeding; the enthusiast has the desired gene. Somebody has to be buying the t-shirts. Are we all familiar now? Dark Souls 3, at least, presumes that we are. Unlike this review, it cuts right to the chase. 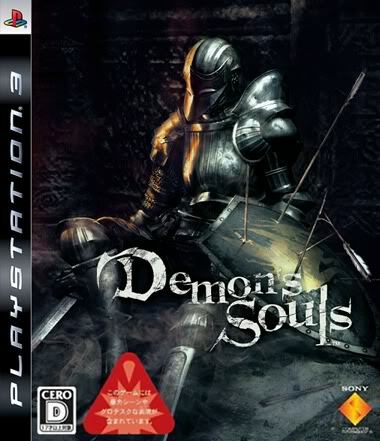 Where earlier Souls games were understated, Dark Souls 3 is curt. "Welcome back to Firelink Shrine," it seems to say, already walking away, gesturing brusquely, “—you know the deal, bathroom’s down the hall and to the left; blacksmith’s on the right.” Good news for our aforementioned enthusiasts, who get to go right to demonstrating their hard-earned mastery. Bad news for the doomed Oscars, whose presence feels increasingly unaccounted for. I managed, myself, after a fashion (trips to the wiki, liberal summoning of other players to assist, zero compulsion against running away from anything scary). Beating Dark Souls 3 felt uncharacteristically imperative. Lothric just doesn’t feel like a resting place. It exists to be beaten—for a game where the player character begins their journey by rising from a coffin, death and failure don't really carry the weight of meaning, here. One non-playable character who resided in my home shrine, a sorcerer named Yoel of Londor, died where he stood at some point while I was afield, to almost no fanfare. The body stayed there for the rest of the game. At some point, a replacement NPC simply set up shop next to the corpse. If she had any reservations about it, I wouldn't know—she exhausted the entirety of her dialogue after a couple of lines. Brendan Keogh, remarking on the sense of timelessness that pervades in the original Dark Souls, said that “a knight sits contently in front of a giant gate, waiting for it to open. You can’t help but think he has been sitting there since before time began.” And yes, those selfsame knights do still sit and wait in front of their gates in Dark Souls 3. Lothric is Lordran, or at least Lordran adjacent, or something. . . the already fuzzy chronology gets fuzzier here, as stories and lands sublimate into a familiar, all-encompassing narrative about rekindling the world's flame. The characters the player encounters just have less to say this time around, quickly stonewalling any conversation with a repeated lines of dialogue. That is, if you can even find them (by the end of my first play-through, my Firelink Shrine remained depressingly lifeless). One more point for the enthusiasts, there: they're better equipped to bird-dog the NPCs and track down their obscure quests. 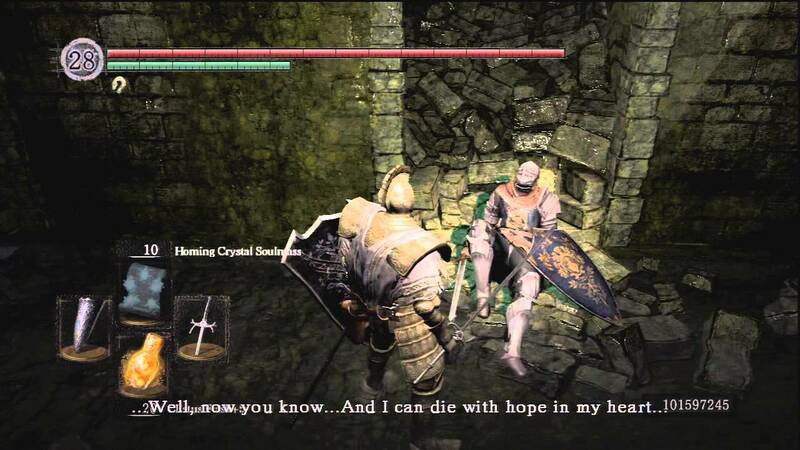 Me, though, I even lost track of Dark Souls 3's version of the Crestfallen Warrior. And I really like the Crestfallen Warrior (file it under: the tragic nobility of games crit twitter). There's a take on Dark Souls’ Siegmeyer, here one Siegward of Catarina. There’s a smirking betrayer, and a seated crone, and more—each, like many of the locations, a nod to an encounter from an earlier game. Even pieces of Bloodborne manage to make their way into Dark Souls 3, something I’d noticed in one early stage when I approached a gathering of gangly, torch-and-pitchfork-wielding villagers around a pyre. As one critic noted in a piece I've since lost track of, some graphical assets are literally cribbed from Bloodborne. I'll call that fitting, though, for a game that's undeniably interested in final pilgrimages—even the assets seem to be making their last Hajj. After just a few weeks away from Dark Souls 3, I noticed something strange: I was having a difficult time recalling wide swathes of my time with it. I’d think I had remembered a segment, only to realize that I was suffering a bit of bleed-in from one of the other, previous games. I pulled up a Let’s Play of the game on Youtube at some point, and had to think to myself “That’s right…I did do this. 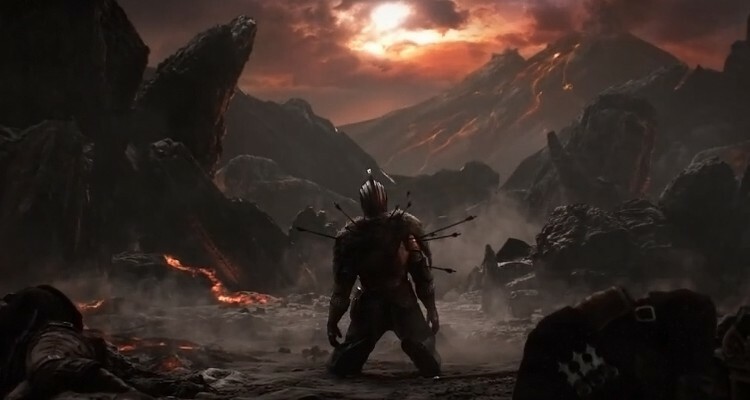 I was there.” This was about something more than Dark Souls 3’s self-references, more than nostalgia, more than a matter of a few characters and places being dredged up and tilted slightly off-kilter. There are a few parts that stand out in my memory. Like the Dancer, a lithe, stalking boss that took me by complete surprised and swindled me out of a hundred thousand of my saved-up souls. Or the twinkling approach to Irithyll of the Boreal Valley, which holds the eye just long enough that you don’t notice the giant horrorbeast that comes up on you from behind on the bridge over. Aldrich, Devourer of Gods may be the most interesting of the bunch, despite the fact that his actual battle wasn’t much of a challenge for my no-frills knight “of little renown.” In a morbid bit of extra-textual metaphor, Aldrich, a religious zealot, dreams of cannibalizing the old bosses of the previous games. He eats Dark Sun Gwyndolin, who thus subsumed, becomes a portion of the boss. Limp to the end of the game, as I did, without having performed the abstruse side tasks needed for one of the more robust endings, and you get an almost comically subdued one. The player character touches the sacred flame (an all-consuming conflagration sort of thing in previous games), mutely self-immolates, and just sort of has a bit of a sit. The message seems to be: you can't keep dipping back into the well; returns inevitably diminish. Completionists find a different, more dramatic ending, of course—hard to imagine them settling for something so stark after the amount of effort they’ve put in.